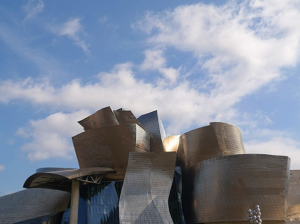 Guggenheim Bilbao should be on every world traveler’s bucket list. 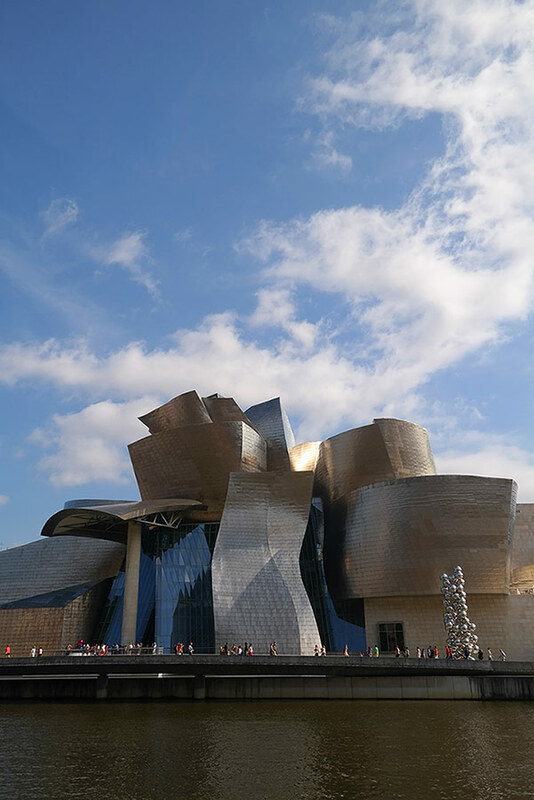 An icon of 20th-century architecture, this groundbreaking Frank Gehry-designed masterpiece was a game-changer for architects and aesthetes alike, as well as for the citizens of Bilbao. 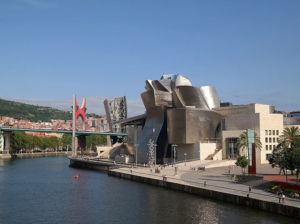 Constructed on the site of a post-industrial wasteland in this once thriving port city, the museum, which first opened its doors in October of 1997 after four years of construction, breathed new life into Bilbao and the surrounding Basque region. 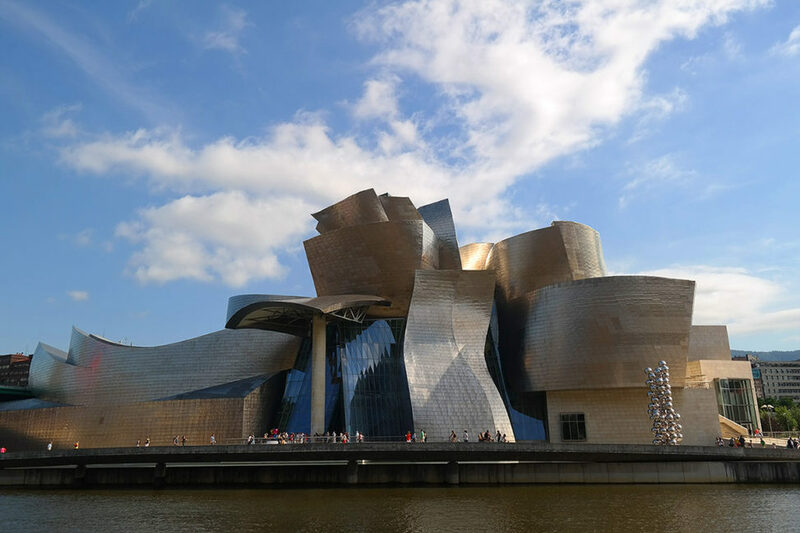 The prosperity that ensued became known as the “Guggenheim effect,” which pumped millions of dollars back in to the economy thanks to the million plus visitors to the museum each year. 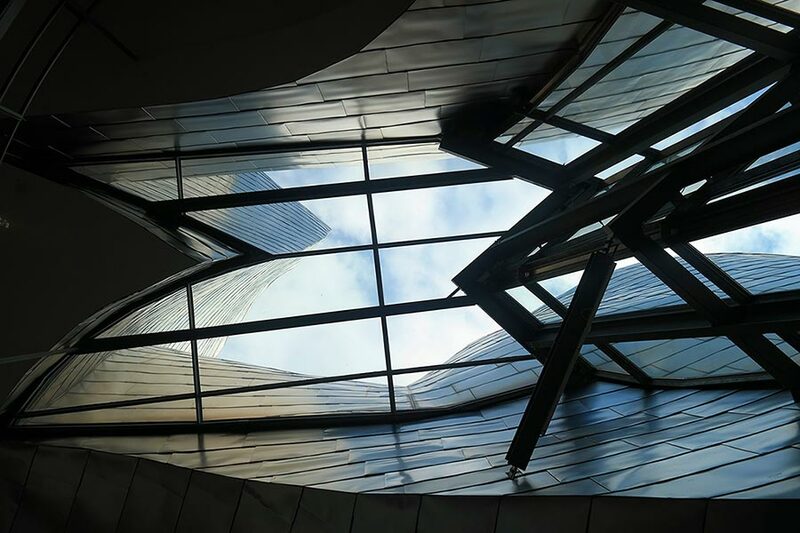 Situated on a bend along the Nervión River, Gehry’s 260,000 square foot design pays homage to its surrounding environs with vast curves and angles skinned in titanium, limestone, and glass. 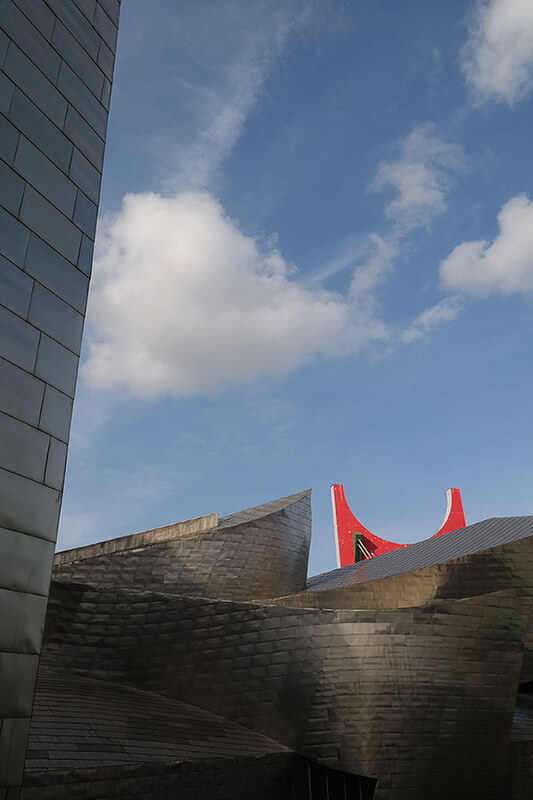 The result of this organic composition is the museum’s forever changing color depending on the weather and light conditions. 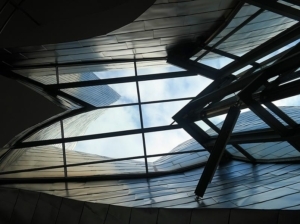 The 120,000 square feet of exhibition space is distributed over 20 galleries on three floors. 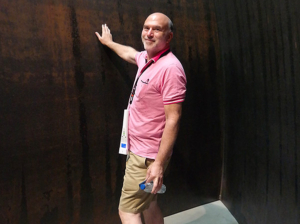 At 42,000 square feet, the largest gallery on the first floor houses Richard Serra’s The Matter of Time. 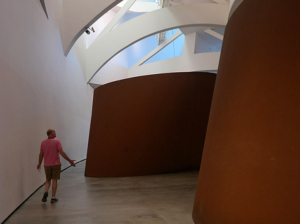 The museum’s only permanent exhibit, this monumental installation features a series of Serra’s distinct and immense torqued spirals and ellipses. 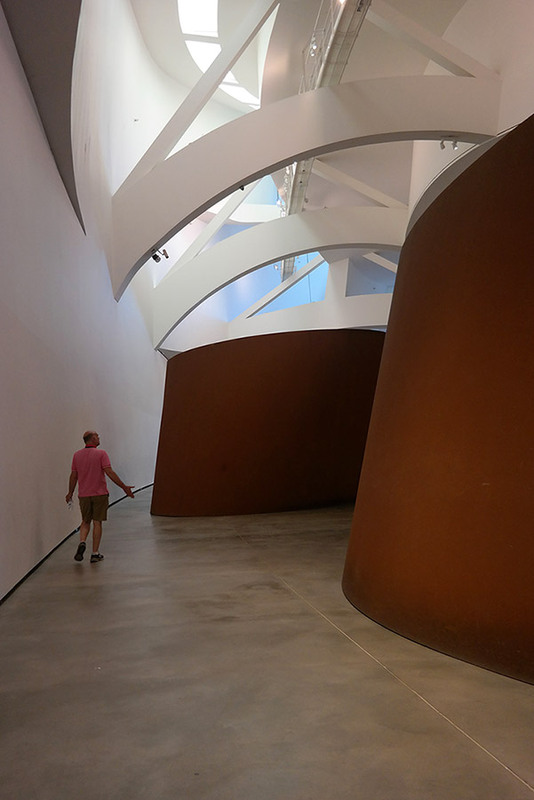 Most of the other galleries rotate between exhibitions and curations from the Guggenheim’s permanent collection. During our visit in August of 2016, we encountered Cy Twombly’s Nine Discourses on Commodus, a study in abstract expressionism. I then gazed in awe for at least 20 minutes at Gerhard Richter’s breathtaking Seascape, an immense canvas depicting his signature exploration of the relationship between painting and photography. There was also a Louise Bourgeois exhibition, showcasing innovative and sculptural forms from her body of work spanning over seven decades. 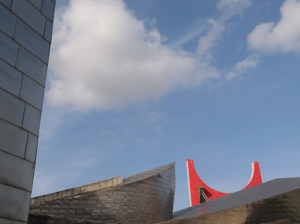 A visit to Guggenheim Bilbao isn’t complete without experiencing Jeff Koons’ Puppy, which guards the front entrance to the museum. 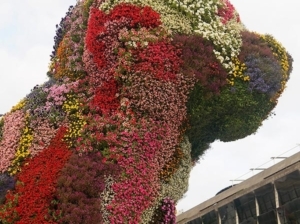 The 40 foot steel frame of a West Highland terrier is carpeted in a colorful array of plants. 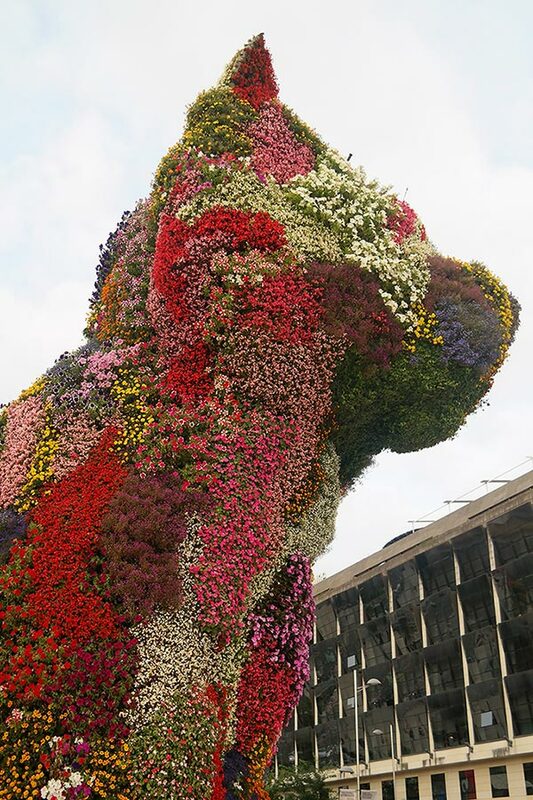 Like it did for me, this canine in bloom will undoubtedly bring a smile to your face. 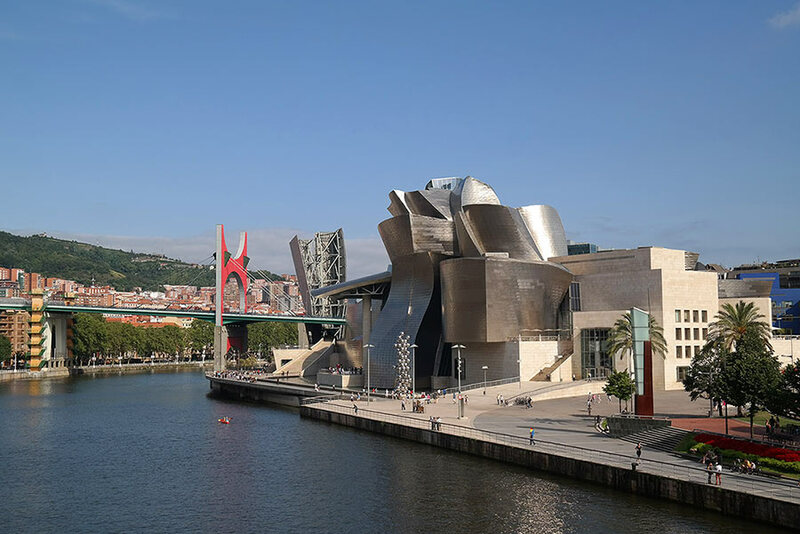 Afterwards, we dined at Michelin-starred Restaurante Mina in Bilbao La Vieja, an historic riverfront district not far from the Guggenheim. Tucked behind an old wooden door and up a flight of steps, the clean and modern dining room seats only 25 and faces an open kitchen, where chef and owner Álvaro Garrido and team churn out daily curated tasting menus. 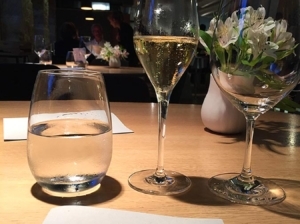 We opted for the 10-course tasting menu, which at only €82.50 per person (VAT included), is practically a bargain. Garrido highlights a key ingredient in each dish – mostly seafood and produce procured from the Mercado de la Ribera located directly across the Nervión. 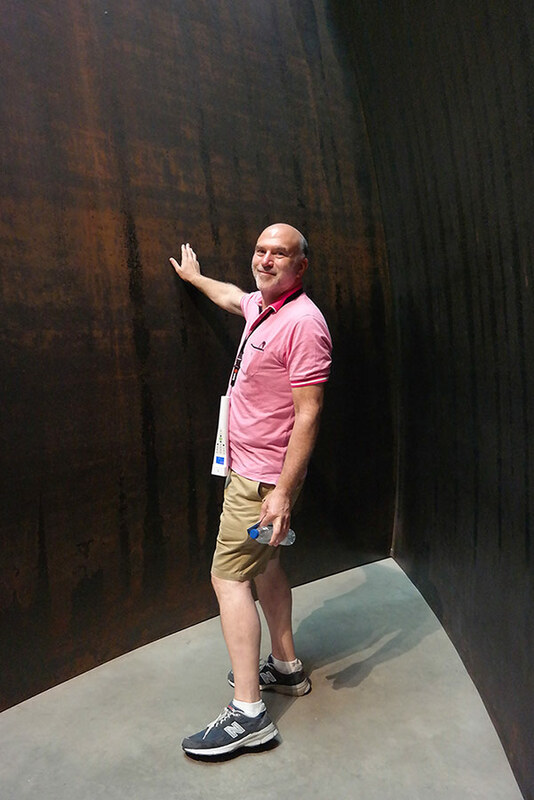 The platings were as striking as the de Koonings, Pollocks, and Rothkos we had just seen at the Guggenheim…and the flavors were spot on. I loved a dish called Play on Risotto, which featured diced begihaundi (baby squid), curry, ginger, and trout roe. We also had beautiful txangurro (spider crab) topped with a passion fruit emulsion and succulent alberjinia (eggplant) cooked in red tea and served with white prawn. Our intermezzo, The Sea, was also sublime, which featured lemon cream, seawater, caramelized seaweed, and vodka. It may sound strange, but it was oh-so memorable. 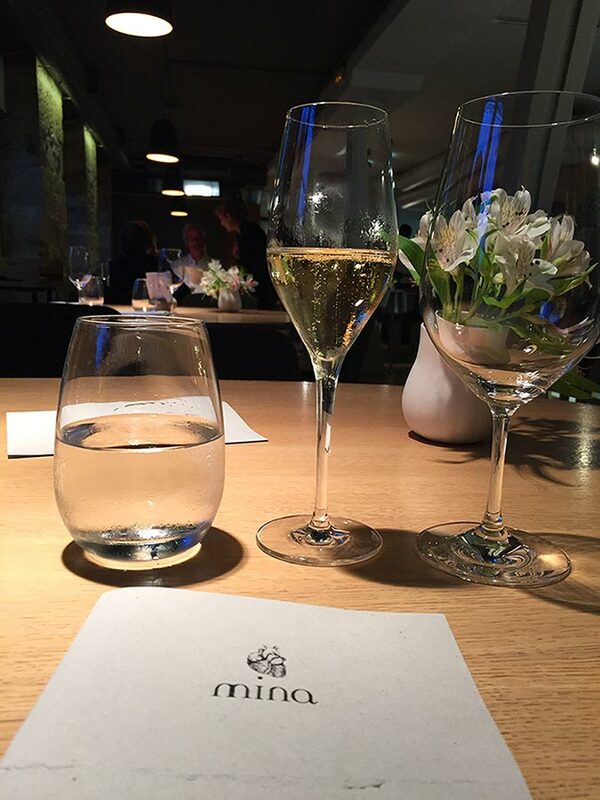 If you’re in Bilbao, definitely book a table at Restaurante Mina. We ate at some of the top restaurants throughout the Basque Coast, but Mina was by far our favorite.